You can make it individual or in a big tray. Grease the pan with butter and sugar. Add the mixture and bake in bain-Marie for about 40 minutes. Take out of oven and let cool down. 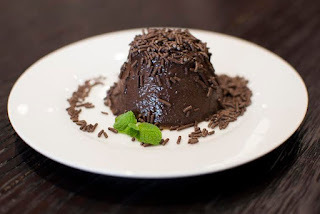 Serve cold with granulate chocotale on the top.